""Carter Clay "is brave and fascinating." --Sandra Scofield, "Chicago Tribune," on "Carter Clay""" ""Carter Clay "is thrilling in its enormous ambition and intelligence. Elizabeth Evans is a fearless writer. After reading this novel, I'm convinced that there's nothing that she can't do." --Ann Patchett on "Carter Clay" ""The Blue Hour "is about the marketing and consumption of values and is very much a Great American Novel . . . one of those rare novels one finishes with the sense of having needed to read it." --"The Washington Post Book World" on "The Blue Hour""" "Elizabeth Evans's style is eloquent without posturing. Her dialogue anoints each character with striking individuality. Her scenes move crisply to revelation . . . a superb fictional debut." --"Newsday" on "The Blue Hour"
"A compulsively page-turning novel. Blackmail! Back-stabbing! The Iowa Writers Workshop! Evans dips into painful realism, comedy, and nail-biting suspense. You will be as good as sleepless until you turn the last page." --Julie Schumacher, author of "Dear Committee Members" "In brief strokes but with crystalline detail, Evans draws obsessive and seductive characters that make a passel of trouble for themselves--and for each other. First page, I'm hooked, and every page after that. An engrossing novel, simply superb." --Ann Cummins, author of "Yellowcake" "The suspense in "As Good As a Dead" is of a special kind--we wait to see how much power old jealousies and defeats have and who will outlive them. A riveting story, beautifully written." --Joan Silber, author of "Household Words" and "Ideas of Heaven" ""As Good as Dead" is as funny as it is sad, and gets to the heart of what reading is for--to change us and make us try harder at life. Elizabeth Evans is a true storyteller with a gorgeous and startling gift." --Kate Bernheimer, author of "How a Mother Weaned Her Girl from Fairy Tales" ""As Good as Dead "is like a seduction of the senses; no one can do this sort of subtlety as well as Elizabeth Evans--except perhaps the marvelous writer Ann Patchett. They both have the startling ability to reveal their stories with the mesmerizing art of Scheherazade during her thousand and one nights. I only wish Ms. Evans's books were numerous enough to sustain us over so long a time." 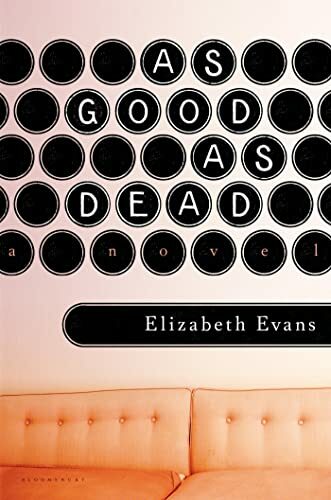 --Robb Forman Dew, author of "Being Polite to Hitler" "Elizabeth Evans is a masterful storyteller, and "As Good As Dead," simultaneously funny, menacing, and wise, is her finest novel to date. Charlotte, the fearless and loveably flawed narrator, will find a permanent place in American literature. The plot takes suspenseful twists and turns, and comes to rest with a shocking, and very moving, disclosure." --Bharati Mukherjee, author of "Jasmine" ""As Good as Dead" is a portrait of the artist as a young woman, with all her passionate hopes and attachments, and then shows us the reckoning she must make with that self in later years. Elizabeth Evans is a graceful and intelligent writer who never makes a false step, as well as a first-rate explorer of secrets and secret lives." --Jean Thompson, author of "Household Words" and "The Humanity Project" "Evans expertly captures the psychology of females who were both friends and rivals on every level, from writing to men. A suspenseful atmosphere and insightful writing are at the heart of this well-crafted novel." --"Booklist" "This intelligent and literary psychological novel from Evans ("The Blue Hour"; "Suicide's Girlfriend") creatively explores what happens when secrets, betrayal, and trust issues arise in a friendship and in a marriage." --"Library Journal " ""Carter Clay "is brave and fascinating." --Sandra Scofield, "Chicago Tribune," on "Carter Clay""" ""Carter Clay "is thrilling in its enormous ambition and intelligence. Elizabeth Evans is a fearless writer. After reading this novel, I'm convinced that there's nothing that she can't do." --Ann Patchett on "Carter Clay" ""The Blue Hour "is about the marketing and consumption of values and is very much a Great American Novel . . . one of those rare novels one finishes with the sense of having needed to read it." --"The Washington Post Book World" on "The Blue Hour""" "Elizabeth Evans's style is eloquent without posturing. Her dialogue anoints each character with striking individuality. Her scenes move crisply to revelation . . . a superb fictional debut." --"Newsday" on "The Blue Hour"
"As Good As Dead" is a portrait of the artist as a young woman, with all her passionate hopes and attachments, and then shows us the reckoning she must make with that self in later years. Elizabeth Evans is a graceful and intelligent writer who never makes a false step, as well as a first-rate explorer of secrets and secret lives. "Carter Clay" is thrilling in its enormous ambition and intelligence. Elizabeth Evans is a fearless writer. After reading this novel, I'm convinced that there's nothing that she can't do. 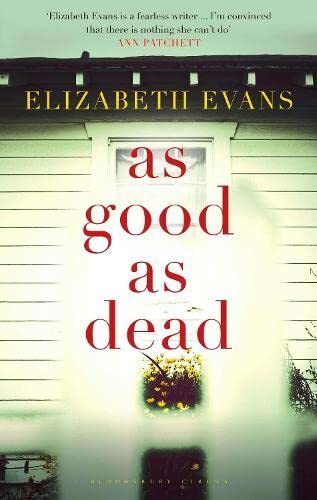 "As Good As Dead" is like a seduction of the senses; no one can do this sort of subtlety as well as Elizabeth Evans-except perhaps the marvelous writer Ann Patchett. They both have the startling ability to reveal their stories with the mesmerizing art of Scheherazade during her thousand and one nights. I only wish Ms. Evans's books were numerous enough to sustain us over so long a time. "Carter Clay" is brave and fascinating. At the high-octane Iowa Writers' Workshop, small-town Charlotte is thrilled and confounded by her relationship with charismatic and sophisticated Esmé: One moment, Esmé appears to be Charlotte's most intimate friend; the next, her rival. After a tumultuous weekend, Charlotte's insecurities and her resentment toward Esmé reach a fever pitch. Blindly, Charlotte strikes out--in an act of betrayal that ultimately unleashes a cascade of calamities on her own head. Twenty years later, Charlotte is a successful novelist. A much-changed Esmé appears, bringing the past that Charlotte grieved over, and believed buried, to the doorstep of Charlotte and her beloved husband. Charlotte finds herself both frightened and charmed. Though she yearns to redeem the old friendship and her transgression, she is wary--and rightly so. As Good As Dead performs an exquisitely tuned psychological high-wire act as it explores the dangers that lie in wait when trust is poisoned by secrets and fears.